HÀ NỘI — Việt Nam’s listed companies lag behind firms in most world regions in terms of working capital performance, the latest study of auditor PricewaterhouseCoopers (PwC) Vietnam has revealed. The study is an analysis of the past four years that targets the largest 400 listed firms by revenue across 14 sectors on both the Ho Chi Minh Stock Exchange and the Ha Noi Stock Exchange. Six out of 14 sectors have improved their working capital performance over the last four years. Energy and utilities, oil and gas and retail are the best-performing sectors while technology, consumer and metal and mining are the poorest performing sectors. “Inefficient supply chains, changing landscape of trade and channel practices and sub-optimal usage of trade financing solutions from organisations are the biggest reasons of Vietnamese businesses being lagging behind their regional and global peers in working capital performance,” said Mohammad Mudasser, Practice Lead, Working Capital Management at PwC Vietnam. There are certain worries about the operation of businesses in Việt Nam for the past four years, according to PwC Vietnam. The problems include lower return on capital employed (ROCE), flat margins, stretched cash conversion cycle (C2C) and relations between working capital performance and profitability, PwC Vietnam said in its study summary on Wednesday. According to the UK-based audit company, conducive monetary policy of the Government and high foreign direct investment (FDI) capital have spurred Vietnamese listed companies to grow in line with the economic growth at 6.1 per cent per annum between fiscal years 2013 and 2017. But it should be noted that their margin growth has remained almost unchanged in this period as expenses have outgrown revenues, PwC Vietnam said. “Moreover, there was a deterioration in ROCE of the companies whilst the financial leverage has increased with more borrowing to fund capital expenditure,” the auditor said in the summary. Besides, Vietnamese firms’ C2C or the average number of days that a company takes to convert resource inputs into cash flows has increased by six days over the past four years to 68 days in the fiscal year 2017, and is two times or more higher than most regional and global peers, PwC said. That’s the result of “more working capital used to generate revenue, which is financed through borrowing, rather than internal cash use from operational improvements,” it said. PwC Vietnam’s study also pointed out that companies that manage working capital better would likely perform better in financial metrics. “Top C2C performers had 12 days of C2C, which is around 20 times lower than the bottom C2C performances for fiscal year 2017” as they achieved “better solvency, liquidity ratios and less dependency on outside borrowing to fund day-to-day operations,” PwC Vietnam said. 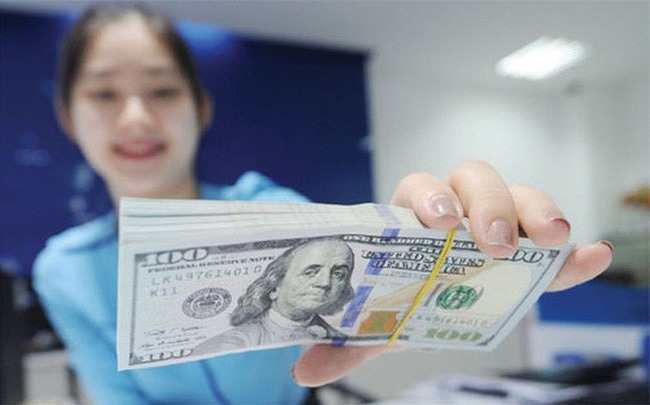 The study also noted there is $10 billion in cash still trapped in net working capital but Vietnamese firms are able to release maximum 40 per cent of the figure or $4 billion.